Athunis, together with Fvmidvs by Profvmvm and Diptyque's Essence by John Galliano, is possibly one of the smokiest vetiver I ever experienced. Something to make the Villoresi or Exhale look like a refined Eau De Cologne. The opening is quite challenging and smells exactly like an estinguished fireplace where you've burned a pile of cedarwood trunks. A true to life experience. A raw, sharp vetiver note make it's appearance right away turning the composition into a straight forward rooty/earthy fragrance. Something you should definitely look for if you're into rough, straight forward manly vetivers. Caution: the "burnt" aspect of Athunis is pushed to the very limit and, expecially during the inital phases, the fragrance may result strongly challenging to anyone who's not into strong smoky compositions. Me? I quite like it and find it much more approachable and balanced than Fumidus. On a once in a while rotational roster. Another great vetiver to add to the huge list of great vetivers. If you like it smoky, woody, earthy, kinda rough and solidly crafted, go ahead! Good work! 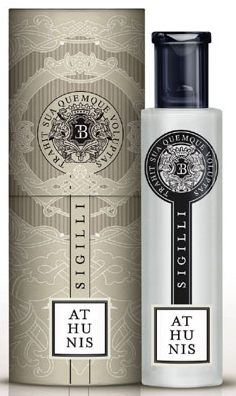 The bonimial smoky + licorice makes of Etro's Vetiver on of the best alteratives to the always harder to find vintage MPG's Route Du Vetiver. 1) Great perfume if you like to burn wet vetiver roots in the fireplace (translated: A LOT OF SMOKE) while drinking some Scotch and in the meantime you don't realize your place is going on fire. 2) great perfume if you want to smell like you've just been rescued from you mountain hut that has gone on fire. 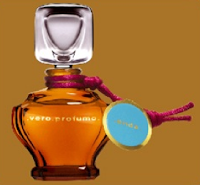 3) great perfume if you like to set fire to the trashcan where you have wasted an old vetiver fragrance gone bad. To me it simply smells horrible, unpleasant and definitely unbalanced on the smoky side. Sorry, I've to pass on this one. Mekkanische Rose is a small independent brand based in Berlin and run by two german brothers who have converted to islam. Their little shop, located just right next to one of the most popular shopping area of the city is a perfume paradise for anyone into hand-crafted oriental fragrances. Their use of top quality absolues (which they also sell) and civet/castoreum as fixatives should ring a bell to anyone into old-fashioned and classic compositions. One of the most brutal openings around: rough, harsh and smoky with an overall acrid citrusy quality. Quite an experience. Unfortunately, It soon settle down to a very simple herbal-woody vetiver accord that's nice but nowhere close to mantain the promises of the initial phase. Somehow short-lived too. 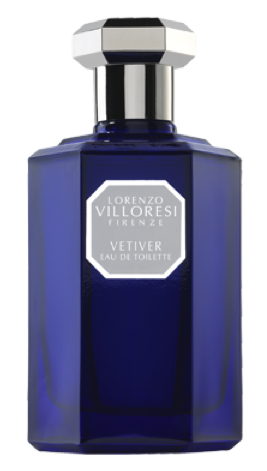 Overall, I'm afraid I'll have to give Lorenzi Villoresi's Vetiver a neutral rating because while the opening is really quite something, the drydonw occurs too soon and reveals a no-suprise and sort of average quality fragrance. if you're up for a straight forward rough composition in the same vein, try to check Mekkanische Rose Tuba, which does basically the same thing at 1/5 the price. Seriously. 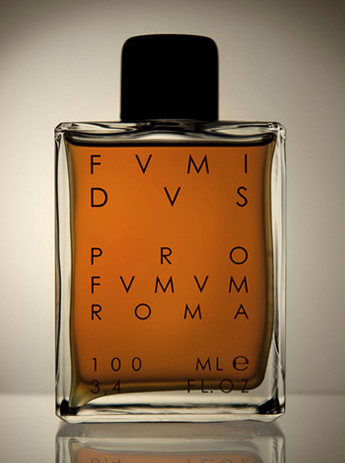 On the other hand the extrait de parfum is, paradoxically, more familiar. Don't get me wrong, it's still far from being easy to wear or "pretty" but, its chypre-y animalic leather structure brings, somehow, to mind of the beloved Djedi. A loud vetiver-leather concoction that moves on the thin line between glory and precipice, between a luxurious smell and a revolting stink. Earthy, animalic and almost disturbing yet extremely compelling. Onda was definitely an ambitious and risky project just like doing tightrope walking between two skyscrapers. It took some skills and a guts but Vero Kern has successfully managed to walk to the other side. Chapeau. Two of the most challenging and compelling compositions that I've ever experienced. By all means niche stuff. Too much smoke can spoil my vativer and Lorenzo Villoresi spoiled his. It was a terrifying experience, the devil's dung. So the ones you mention I do not know, I will avoid. I would love to try Onda though. But I love Etro and it has never struck me as smokey. There is smoke but it is so well blended with sweet and bitter stuff that in the end it becomes delicious. Keep posting man! 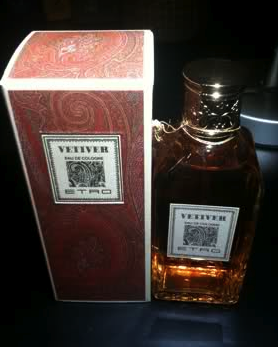 I can't get enough of vetiver. I have been waiting with bated breath to read your views on Athunis. It certainly is an uncompromising frag. You are absolutely right in advising that it is only for those who like very strong scents. Athunis is one of my best buys in recent years. Great review, alfarom. Thanks Perfaddict. As you probably already know, I got a bottle of Athunis just because you loved it so much. Simply TERRIFIC. Chaman's Party is similar to Fumidis but much less soaked and smoky. And these (Fvmidvs & Chaman's Party) remind me of Cuir by Mona di Orio.